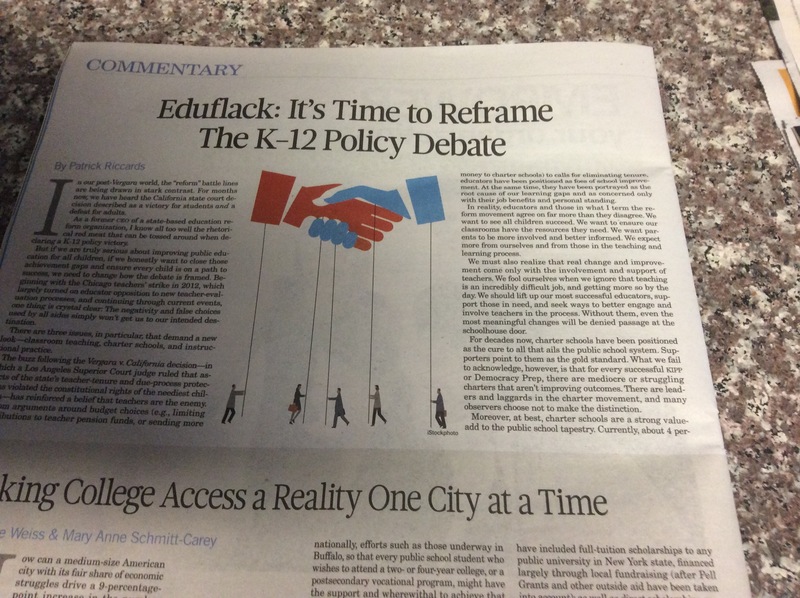 Last month, I wrote about a commentary i penned at Education Week on the need to reframe the education reform debate. The response to the piece, particularly on social media, has been overwhelming. For that, I am incredibly grateful. For those who don’t get the print edition of EdWeek, here’s a glimpse of what the piece looked liked, printed in good ol’ black and white.